You need to know as much as possible about Americana Workshop to appreciate the quality of our furniture. 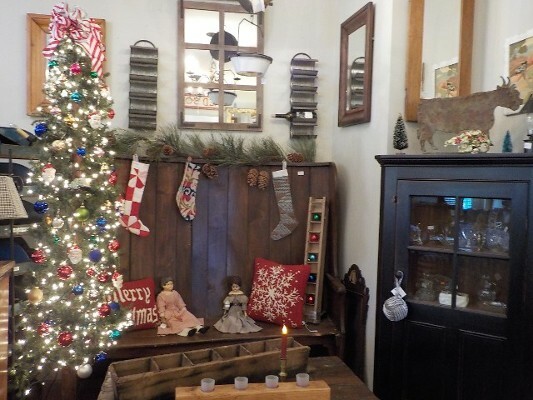 Our 2-story antique shop has been in the same location for over 20 years. It is filled with a constantly changing variety of antiques from small curio items to larger pieces including tables, cabinets, armoires, dressers and more. We have bedroom and bathroom accents, a bright garden room with indoor and outdoor items, along with a unique collection of antique jewelry, tools and toys. Unique to Americana Workshop is our in-house woodworking shop where we recreate custom period items for those with specific needs, from a single piece to an entire room makeover. Using a combination of new and reclaimed wood and materials, we offer a wide selection of painted country cupboards, farm tables, dry sinks, Country Windsor chairs, cottage pine bureaus, etc., that combine the beautiful traditional look with modern functionality. Americana's 2-story retail shop features a showroom of antiques and folk art to help provide ideas for any part of your home. Our on-site workshop offers custom furniture including an assortment of cupboard styles, wardrobes, farm tables, kitchen islands, and most recently, custom kitchen cabinets, and countertops. We participated in a movie set that will be released on December 8th with only one showing in theaters across the country. Additionally, a lot of our pieces are in businesses around New England.